Know the IP address of another computer? You can find where in the world it is—and more. Track down the geographical location and origin of an email you received. IP address on the Internet. 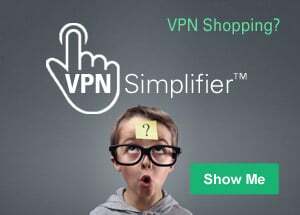 Compare top rated VPN service providers that meet your needs and budget. Have you been blacklisted because of the IP address you use? Check to see here. Is your Internet connection up to speed? Find out for free with a quick click. Have the right tool for any job. That goes for your Internet connection, too. Welcome to WhatIsMyIPAddress.com. Your IP address is something you probably rarely think about, but it's vitally important to your online lifestyle. Without an IP address, you wouldn't be able to get today's weather, check the latest news or look at videos online. Because without your IP address, websites like whatismyipaddress.com, CNN or ESPN wouldn't know where to send the information you asked for. They wouldn't be able to get it to YOUR computer. There is lot of misinformation, concern and confusion about IP addresses. Part of our mission is to separate facts from hype and give you helpful information. You can learn more about IP address basics in our article called "IP 101". IP addresses are NOT an everyday topic—in fact it's about as uncommon a computer-related subject that's out there—so, don't feel like an outsider if it seems intimidating. Besides, we're here to educate and enlighten you, without confusing you.